This is an empowerment teaching for mankind given through divine guidance from Jesus Christ, containing His gift of The New Beatitudes. The New Beatitudes are only found within the book, Spirituality For The Common Man. They are keys to spirituality and empowerments for being that reveal the truth of life. Through them, you will realize who you are, what you are, and why you are here now. They will also empower you to be your greatest potential and create you best life now. 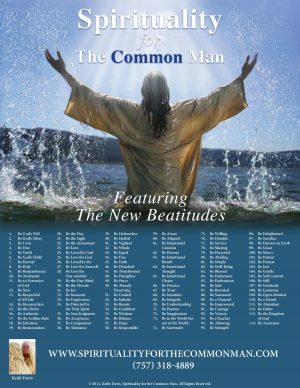 Even more, these 114 New Beatitudes will guide you in the way to make this lifetime count. The way is being love and being forgiveness, and being the Christ with your name. These keys will unlock your ability to be Self-realized as well, which is being aware of your own divinity. Being an extension of God as His beloved Child, you will finally be joy, be peace, and be who you were meant to be. You will also see with Jesus’ eyes in holy vision, knowing all to be innocent, be already deserving, and be eternal. The evolution of mankind will shift as these universal empowerments for being are realized, and salvation will come unto everyone by their own love and forgiveness. As Jesus says in the first line of the book, “This world needs me,” and it certainly does. In these changing times, you may finally know the truth of life and be it now. 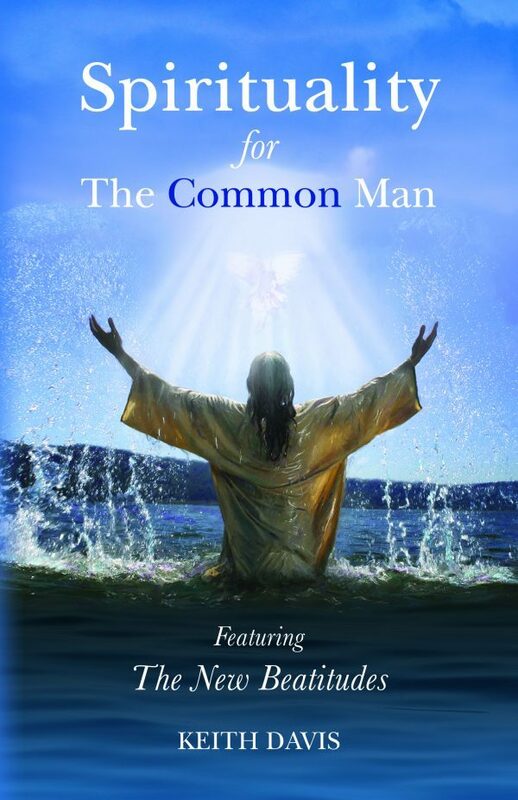 Jesus asks for the common man to be united in a common cause: be salvation by being God’s Will now. So be it. 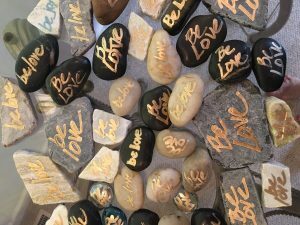 Blessed are you to be love and be forgiveness in your thoughts, words, and actions, and then you will be the miracle. Jesus has said that you will also receive a miracle anytime you hold or read the book, since you are allowing the light that you are to resonate and shine forth. uplifting and promoting true love of God ones fellow beings and ones self. Imagine that Jesus wanted to “reboot” and “update” his message to humankind appropriate for the world we live in today. Imagine that he thought long and hard before he chose who to send it through. Imagine that he decided it was time to give a WOMAN a chance to deliver his message, with heart, perspective, balance and dignity. No control or power games, just surrendered love, acceptance and respect to His divine promptings. In my view, this is that message.